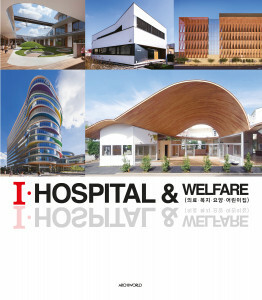 With rising demand for medical care and welfare, this new edition of ′I-HOSPITAL&WELFARE′ introduces hospital, welfare facility, nursing home and childcare center recently completed in the world. With a total of 82 works, it contains an abundance of floor plans, elevations, sections, diagrams and detail drawings to help readers understand projects. It will be used as the practical guide book and the inspirational archive to give the latest design trends. 의료, 복지에 대한 관심이 증가하는 수요에 맞춰 올해 새롭게 선보인 ‘I-Hospital&Welfare’는 전 세계 최근 완공된 의료·복지·요양·어린이집을 소개하고 있다. 총 80여개의 작품을 담아 건축 내·외부 사진과 함께 평면도, 입면도, 단면도, 상세도, 다이어그램 등을 풍부하게 수록하여 프로젝트에 대한 보다 깊이 있는 이해를 돕고 있다. 견고하고 묵직한 분량의 아카이브로서 건축 전공 대학(원)생 및 건축 관련 종사자들에게는 든든한 소장가치와 새로운 아이디어를 제공하고, 일반인들에게는 최신 디자인 동향을 살펴볼 수 있는 실용서로 활용될 것이다.